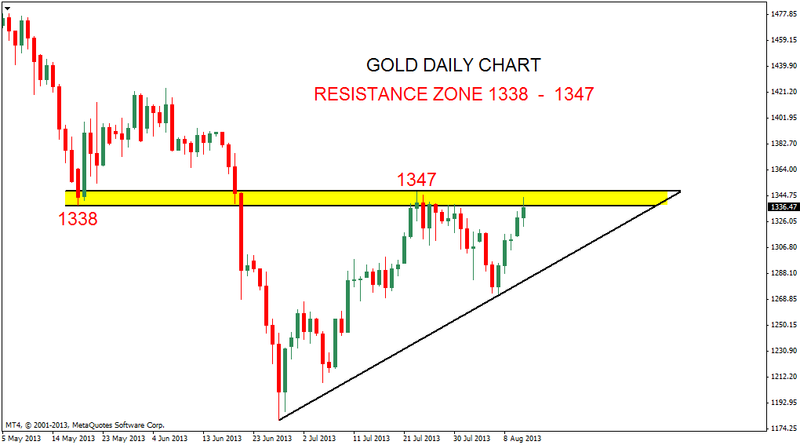 Gold daily chart shows price testing resistance zone between 1338 - 1347. 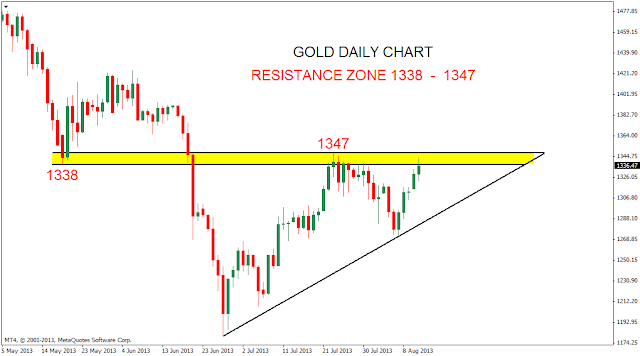 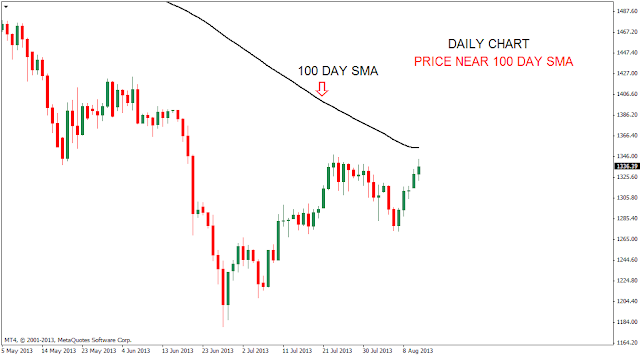 Price nearing 100 Day SMA at 1354. Price above daily cloud. Weakness on price falling back into the cloud. 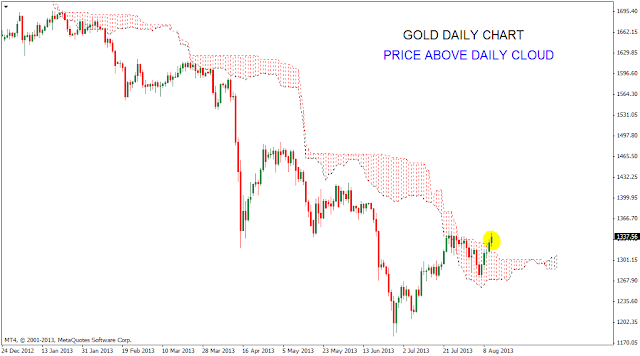 Sustaining above the cloud may lead to a breakout above the resistance levels.